What a glorious day it has been. Traveling through the city is always fun. I always enjoy the view, especially when I use the public transit. As an observer, it is a fun habit. Lifting people’s spirits energizes me. A smile or telling them they look terrific can brighten someone else’s day while making me feel I am spreading the positive vibe. Too bad the “positive vibe” is not a virus; anything would be better than getting a cold. Almost like getting a regular dose of vitamin C.
Getting back to the shop and atelier, I felt refreshed, and seeing the hat I finished yesterday, I thought, this is a good time to capture its beauty. I have named this design the “Clarissa. Let me know what you think? This cozy little hat is the perfect pocket stuffer. Of course it looks much better on your head. Lined with cotton knit those of us with a wool sensitivity won't feel the itch. Here are a few in the medium size. You can see each one has it's own unique color palette. The felted flowers were custom made for each hat. They are definitely fun! In my artists workshop I am busy enjoying the Caprice edition. People are loving the look. It truly is a classic with a casual edge. The shop was a buzz of activity. This chill in the air is prompting all of us on, new winter attire to enjoy. Recently we had a special guest visit the shop. Brooke Miller a wonderful folk musican, who just signed on with Sony records. William found a wonderful Baatar cap in perfect colours that was made just for her. Here is a picture of Brooke, her husband, musican Don Ross and William, as they celebrate. These last several weeks have been very dynamic. I see and accept that change is a constant. Everything and everyone is evolving. I am grateful to be able to observe, hear and feel all that surrounds me. 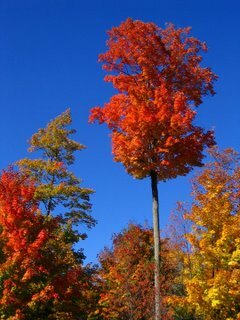 Thanksgiving weekend was beautiful here in Ontario. I was in awe of color, texture and smell of the forest. 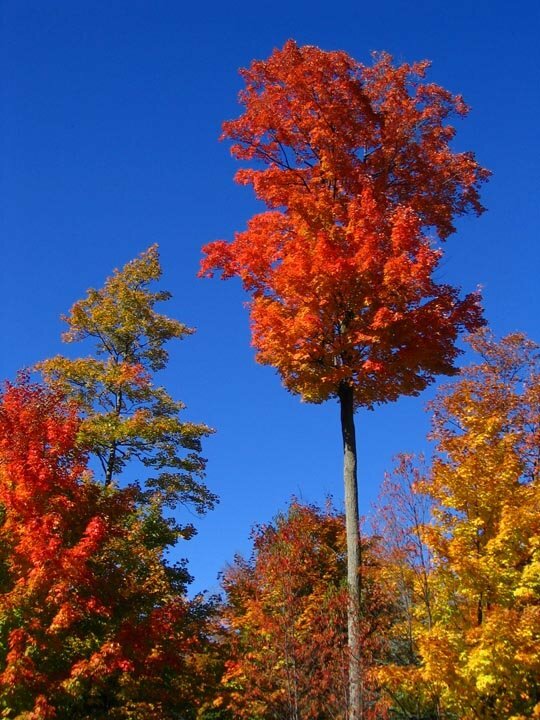 Closing up a garden in the Fall is a great exercise for the body mind and spirit. 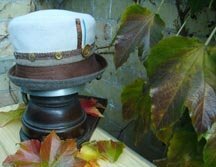 It offers this hat maker a great closure for the last season. 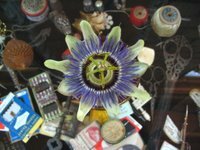 Refreshed from the country, back in the city I spotted a Passionflower close to work. Historically this unique, odd beauty had a loaded meaning as religious symbol. For me the flowers delicate architecture reminds me of hand stitching. This image of the flower with my antique sewing tools in the background seems fitting. Not many things stand still. Photographs can, hope you enjoy.